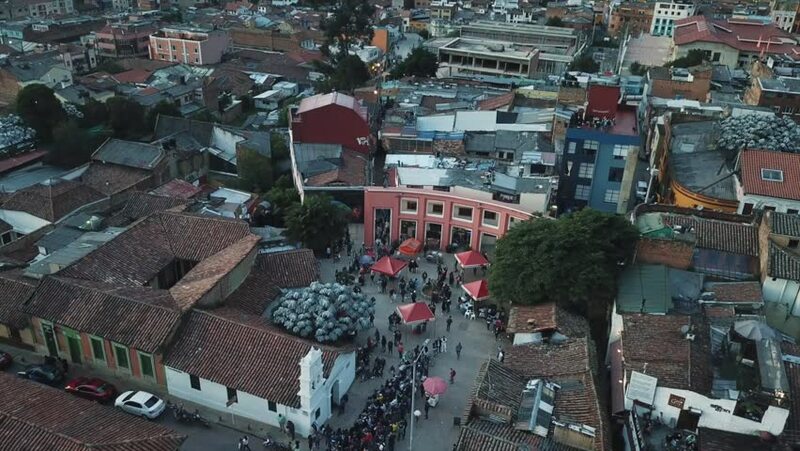 Aerial view of a market in the city town square. Bogota, Colombia. 4k00:16Rooftops of a medieval and cultural city in Europe.